Nobody wants to see their precious spa water fall victim to growths of algae and other swampy growths. But, algae growth is more common than not over the lifetime of spa ownership. With Spa Algaecide, spa water can remain sparkling clean and algae-free with little time and attention. Spa Algaecide can be used to prevent the growth of algae or remove and treat existing algae growth. 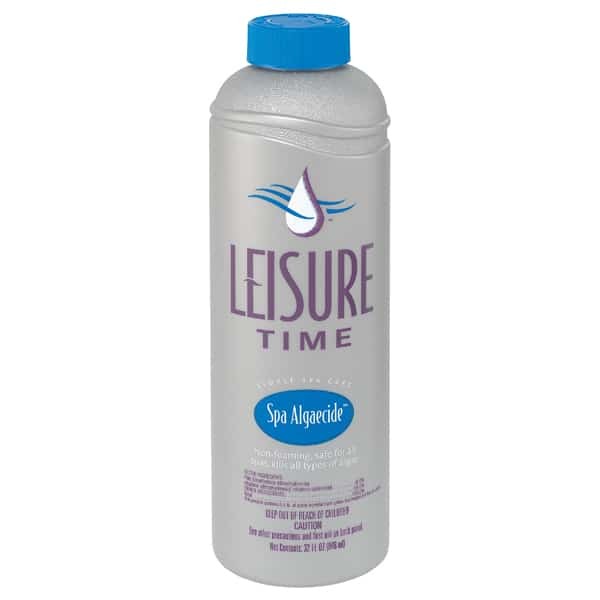 Enjoy the easy-to-use Spa Algaecide by Leisure Time, which will help you to treat your unwanted growth quickly and efficiently, or guarantee that green growths will never show up in your spa water in the first place. Family and friends do not want to soak in a swampy mess of neglected hot tub water. Give a little bit of attention to your warm water oasis now!